For your contemporary art buying needs, think again… and, why not think more locally? You can, thanks to POP Austin’s first annual international art show that fuses art and lifestyle in an annual three-day, interactive art event that truly showcases world-class contemporary artists. 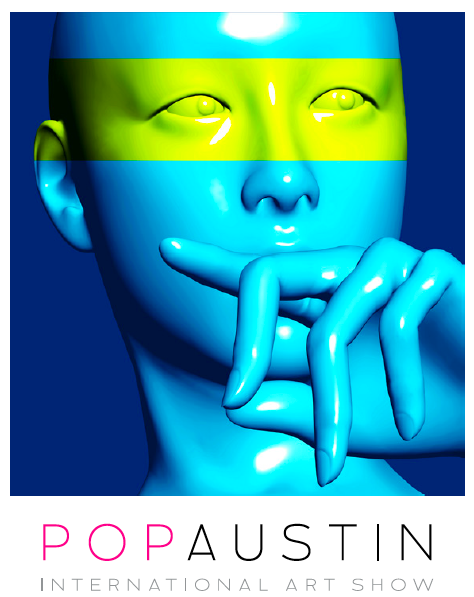 Set for three days in October, POP Austin aims to bring together works by several of the most-renowned contemporary artists from around the world. The vision of the founders Matt Randall, Executive Director; Lana Carlson, Curator; Amanda Huras, Director of Brand; and Steve Carlson, Creative Director is to have the country, and the world, recognize Austin as more than a town of artists, but a capital of culture. The goal? To make Austin an epicenter for annual meetings of truly talented artists, collectors and dealers, according to its creators. This annual event bring in prestigious and internationally recognized talent, and will feature local art as well. Their goal is to present each artist (such as Andy Warhol, Takashi Murakami, the Gao Brothers, Gerard Rancinan, Mr. Brainwash and Shepard Fairey, among others) in an interactive way, and it will host lectures and seminars aimed at educating Austin buyers on the importance of art investment. We love that, of course, because we love all things artful.